The girls and I gathered to watch the opening ceremonies of the Sox Fest taking place this weekend in Chicago. The opening video gave us all chills and a few comments that the tears has started (me included). Adam “Sparky” Eaton is a power house packed in a small package. Now if he can only stop running into walls. The girls who were able to attend, posted pictures about the seminars that they attended, and how the vibe was in the room. Everyone is fitting well together and there was a new excitement. One my Sorority sisters got the best gift, she got to say “Thank You” to Scott Podsednik for his walk off home run. It was the last game that she attended with her Dad before he passed away. Scotty hopped off the stage and gave her a kiss and a cuddle and whispered “Your Welcome” in her ear. I can’t wait for the season to start. This is the first year since I have been following the boys that everyone I talk to or heard so much excitement from the coaching staff with this new group. If they are excited then we need to take our cue from them. This morning we got an interesting piece of news, Gordon Beckham who had been traded to the Angles, as of today is now back in black. It is only a years contract but he is back home and Dayan Viciedo has been designated for assignment. 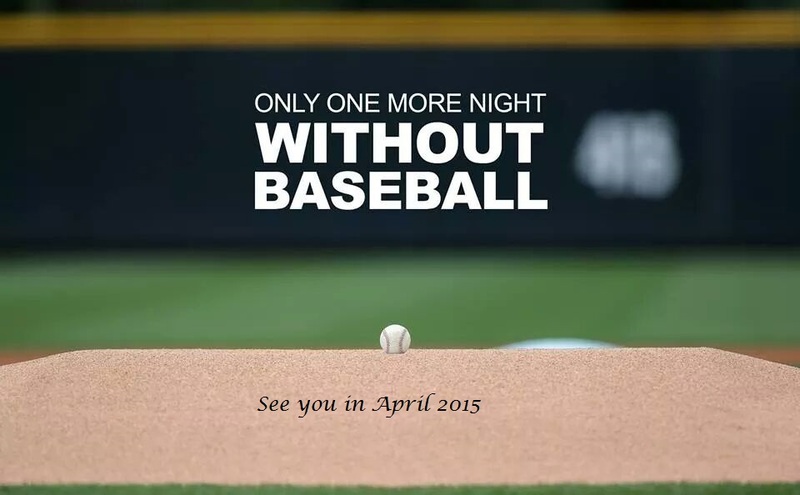 20 days and counting til the boys reports for spring training…….How excited are you? Some of the boys have already reported to a mini camp going on now. Getting back to training, meeting some of the new guys and have seen an interview, that some of the young guys are enjoying camp and being able to talk to the more experienced players, getting advice on hitting and they are needing to work on. The Hall of Fame Class for 2015 has been announced with Randy Jackson, Pedro Martinez, John Smoltz and Craig Biggio. July 26, 2015 has been reserved for the induction ceremony in Cooperstown. Don Mattingly was on the ballot for the 15th and final time. Sox Fest will be a blast this year. Celebrating the 2005 World Series with many members of the team coming along to celebrate. Many of the new guys to the team including, Jeff Samardzija, Dan Jennings, David Robertson and many others. For those of you lucky enough to go, have a blast. For those who follow the blog and have heard me talk about my sorority sisters, we have our own Twitter this season. You can find us at @soxsorority44 for all things White Sox during the season.